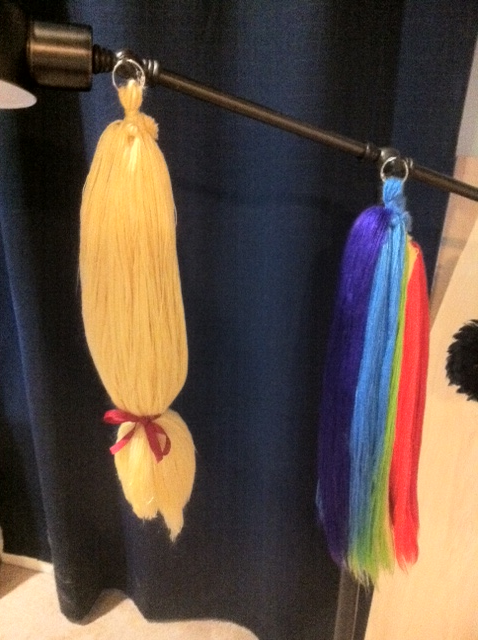 Apple Jack tail commissioned by Mari beside the Rainbow Dash tail made for her girly, Ria. Sent these babies out earlier today. Love how Apple Jack's tail looks. Yay for cute little red ribbons.